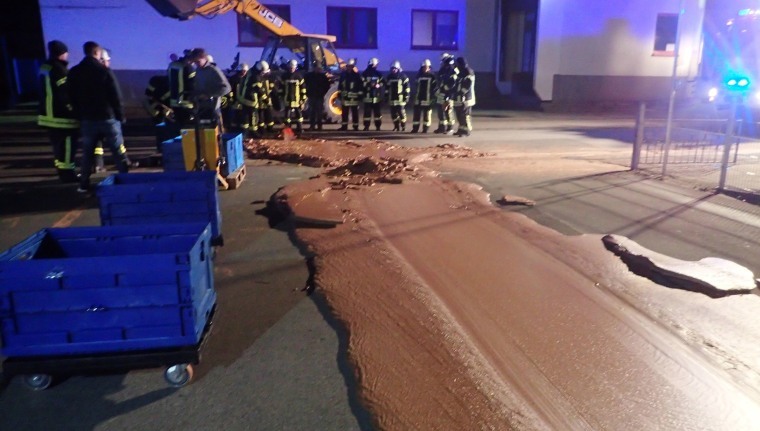 BERLIN — Firefighters in the town of Werl in western Germany tackled an unusual emergency late on Monday when a tank at a local firm making liquid chocolate overflowed and poured out onto a street. "About a tonne of chocolate ran out into the yard and from there onto the street," a spokesman for the Werl fire department said in a statement. The firefighters closed off the street and shoveled the chocolate - about 108 square feet — to one side before a specialist cleaning company cleaned the road. "Despite this heartbreaking incident, it is unlikely that a chocolate-free Christmas is imminent in Werl," the fire department said.